Duckhorn Wine Company Acquires Kosta Browne Duckhorn Wine Company, which recently acquired Calera Wine Company, has now purchased Kosta Browne. Founded in 1997, Kosta Browne rose to prominence in the mid-2000’s and has been a sought-after Pinot Noir brand ever since. The sale includes the company, the winery, all assets and inventory, as well as 170 acres of vineyards through ownership or long-term leases that include Cerise Vineyard in the Anderson Valley, sections of Keefer Ranch Vineyard in the Green Valley of Russian River Valley and Gap’s Crown Vineyard in the Sonoma Coast. Duckhorn Wine Company will still focus on small production for Kosta Browne. That said, they will be emphasizing the wholesale market more than in the past (85% of production has been sold to a mailing list), so the wines will be more available in high-end restaurants and wine shops across the country for consumers. The Kosta Browne team will remain with the winery, including CEO Scott Becker and winemaker Nico Cueva. The acquisition of Kosta Browne will not include CIRQ, which was founded, and continues to be owned, by Michael Browne. 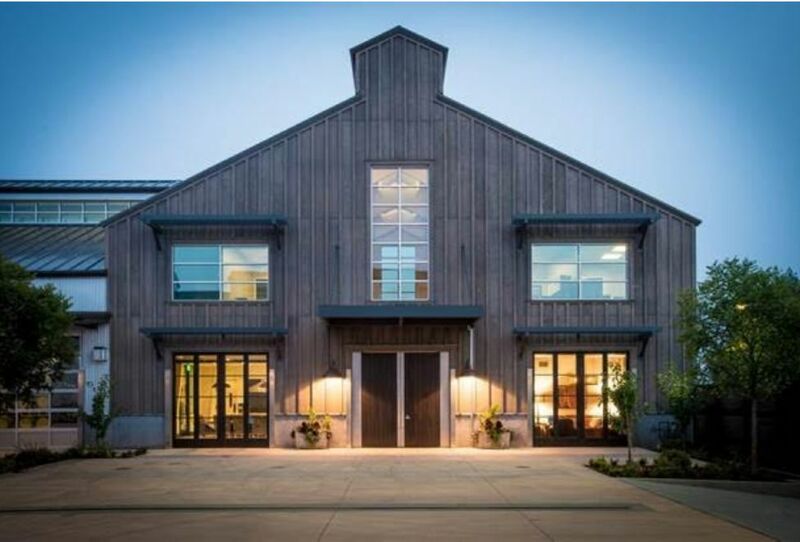 The Kosta Browne Hospitality Center in The Barlow in Sebastopol is pictured below. Tasting is available by appointment to the mailing list and waiting list members. Sta. Rita Hills Wine & Fire Weekend A reminder that on the weekend of August 17, 18, and 19, three events will be held as part of the Wine & Fire Weekend: Friday Night Barn Party, Speed Tasting and Lunch with a Winemaker on Saturday, and Wine & Fire Grand Tasting at La Purisima Mission on Saturday evening. Early bird tickets expire July 29. For tickets, visit https://www.eventbrite.com/e/wine-and-fire-in-the-sta-rita-hills-wine-country-2018-tickets-46013953975. No Reason to Store Wine On Its Side Says Scientist Dr. Miguel Cabral, Amorim’s Director of Research and Development recently said that storing wine on its side won’t prevent corks from drying out, and may even accelerate the weakening of the cork’s cell structure. He noted, “The cork will never dry out with almost 100% humidity in the headspace, so it is a myth that you need to store a bottle on its side.” Apparently, he feels that the cork is only influenced by the humidity inside the bottle, not by the environment around the bottle. Pinot Noir Adores Oak but It is a Contentious Relationship Sometime back, I read an article online in The Press Democrat by Dan Berger titled, “Red Wines Lean Heavily on Oak for Top-Scoring Flavors,”http://www.pressdemocrat.com/lifestyle/8019585-181/berger-on-wine-red-wines?sba=AAS. He pointed out that aromas described as vanilla bean, cedar, bacon, chocolate, pipe tobacco, mocha and toast were not grape aromatics but found in wines relying on heavily toasted oak barrels. Berger said, “A cynic might say that such wines are as much a product of trees as they are of grapevines.” He goes on to point out that some wine reviewers are so smitten with oak that they lavish praise on wines that have almost no grape or wine aromas. The only reason I point out this article is that I am in complete agreement with Berger’s remarks. 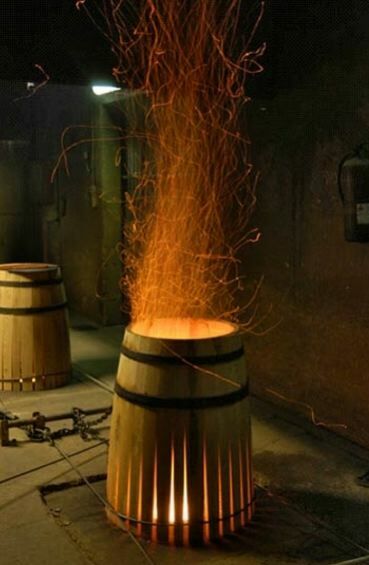 Unlike many wine critics who try to skirt around the term “oak” in their reviews by using its consequent aroma and flavor tags such as chocolate, tobacco and toast, I do use oak to make it clear where these characters in wine are coming from. For me, the biggest drawback to the current offerings of domestic Pinot Noir is a whack of oak on the nose and palate. You will find that I downgrade wines that lean heavily on oak for their character. Oak characters include: oak, cedar, sandalwood, redwood, pine needles, pine pitch, resin, tree bark, sawdust, sap, tar, smoke, sweet smoke, ash, creosote, woodsy, old box, cigar box, espresso, mocha, chocolate, toast, char, tobacco, mown hay, grass, clove, cinnamon, coconut, vanilla, brown sugar, bourbon, maple syrup, burnt sugar, butterscotch, caramel, molasses, toffee, soy, creme soda, marshmallow, nuts, brioche, toasted bread, barbecue, grilled meats, bacon, nutmeg, and anise. Union Wine Co. Now Oregon’s Largest Producer According to an article online from Wines & Vines, https://www.winesandvines.com/news/article/201224/Oregon-Wineries-Step-Up-Outside-Players-Move- In, Union Wine Co. projects that it will produce 391,000 cases in 2018. A large part of this winery’s growth has come from canned wine, amounting to 244,000 cases in 2018, up 94% from last year.